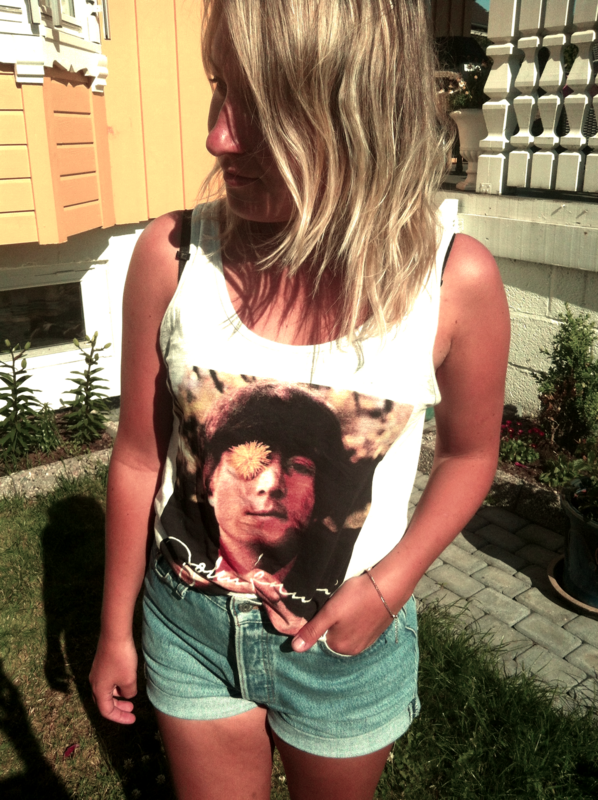 The other day I was wearing my new Levis 501 and a new top with the print of John Lennon from H&M. Both are one of my new favorite purchases! Have a lovely sundays sweeties! what a great summer look! Oh, this shirt is so cool, I really love it. So retro and stuff!